The media praised Liverpool’s professionalism and numerous individual performances after the Reds cruised to a 3-0 win over Bournemouth. The Reds cruised to victory against Eddie Howe’s side to take another step towards securing a second successive top-four finish. 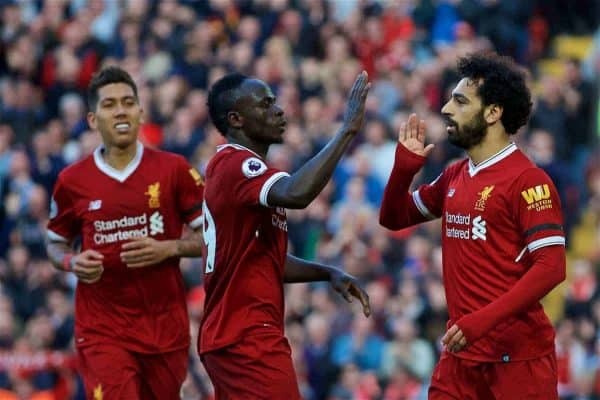 Liverpool’s lethal trio did the damage, as Sadio Mane opened the scoring early on before a superb Mohamed Salah header and clever Roberto Firmino finish secured the three points. 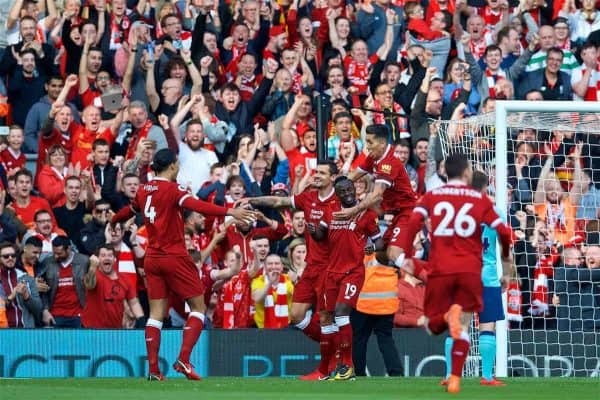 It was a fantastic performance and result for the Reds, and Jurgen Klopp will be particularly delighted to have seen his side produce such a complete display after a huge effort at Man City. Here’s how the media assessed a welcome routine win at Anfield. Liverpool deserve credit for this professional performance against an obdurate Bournemouth who, for the most part, defended well but, a late flurry apart, were negated going forward. Complacency was never an issue here. It could have been slow, difficult to get up for, for fans and players alike—but Jurgen Klopp had his team prepared and disciplined. Plenty of chances were created as a result of that insistence on quickly recovering possession and it was heartening to see the Reds play in the same manner in a match which had much less riding on it. The Reds beat Premier League leaders Manchester City 5-1 on aggregate to reach the Champions League semi-finals on Tuesday, and the hosts were quickly into a rhythm and intensity that Bournemouth struggled to match on Saturday. They have learned the virtues of patience, without losing the speed and skill which makes them so thrilling to watch. But this latest win at the end of a fine week further demonstrated how Liverpool are maturing as a team. They nonetheless extended the division’s only unbeaten home record and indicated how they intimidate opponents. Jurgen Klopp wants to keep the winning momentum going and was rewarded with fine performances all over the pitch. The Champions League has been a great adventure so securing qualification again was given its proper importance. Little wonder Klopp took no risks with his team selection. There was only one change, captain Jordan Henderson returning from suspension. It is not inconceivable this will be the starting line-up against Roma in the forthcoming semi-final. It is a testament to the rotation that the Liverpool boss did earlier in the season, when his side made comfortably more changes than anyone else, that his side look as fresh as they do right now. 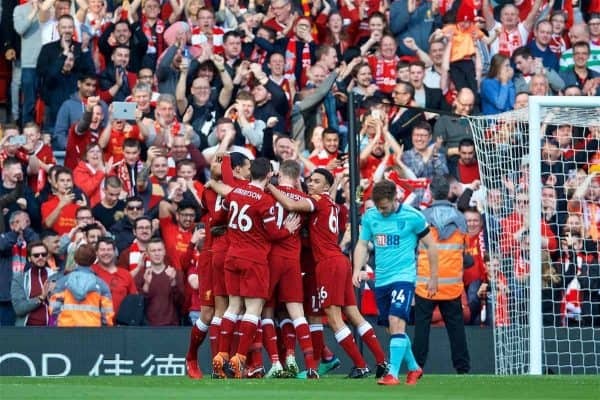 And that competition for places has helped move Liverpool to within two wins of sealing a top-four berth and their place at Europe’s top table next season. It feels like Jürgen Klopp is gradually fashioning a squad that can get by when all is it not quite as lively around them, as well as one that thrives in the hostility of any environment. The star of the Klopp era is this well-oiled team. Klopp is building a side that can out-run, out-battle, out-think and out-score any opponent. Bit by bit, step by step, his creation, his masterpiece is unfolding before our eyes. Hyperbole? Exaggeration? Nope, just reality. 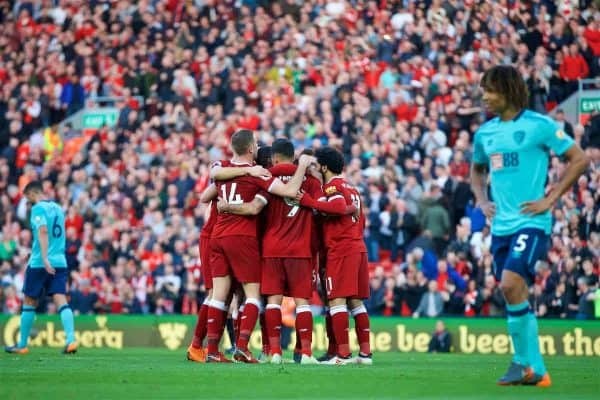 No side in England is better to watch than Liverpool right now, no team is playing with more belief or freedom. No side looks as organised, as hungry or as sharp. Henderson brought incision form the base of the midfield. The captain can divide opinion but this was a reminder a workhorse can provide penetrative passing and crossing. There is a sense the holding midfielder has benefited from Virgil van Dijk’s arrival, the Dutchman’s commanding presence behind him allowing him to operate further up the field. He’s not as clinical as one or two of his team-mates, but his movement is genuinely excellent, getting away from defenders and finding spaces with ease. His pace is of course an asset, but there’s intelligence to Mane too, and selflessness at times. It’s also no coincidence that Van Dijk’s presence has seen a huge upturn in form from his defensive partner, Dejan Lovren. The two have the potential to be a centre-back pairing the Reds can rely on. Not only was his proficient at going forward, his defensive tackles and little nicks of the ball were exquisite. Lets talk about his deliveries though: impeccable, every inch the Man of the Match. 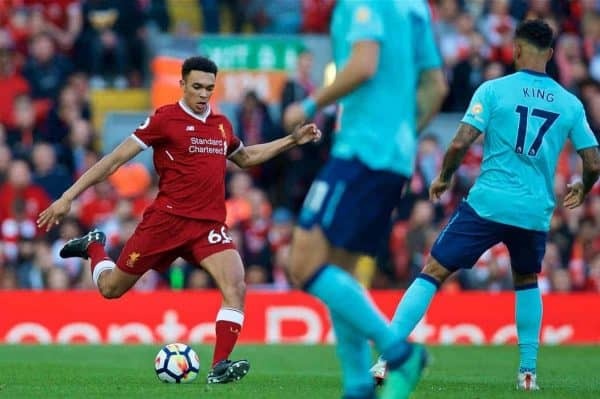 Trent Alexander-Arnold put in another solid performance as the youngster continued to validate reasons behind the late call up shouts for this summer’s World Cup. Should he make the 23-man squad, there wouldn’t be many critics arguing it’s a waste of a plane ticket. 📲 Have you got the This Is Anfield app for iPhone or Android? Liverpool FC news, analysis and videos on the go. Click here to get it for free.